The following two addresses were presented in the Community Christian Church, Springfield, Missouri on Sunday, Aug. 9th, 2015. The first is the Offertory Address and the second is the Communion Address. So I ask the indulgence of adopting a somewhat affective approach, and recycling parts of a blog I wrote, which is in turn based upon a number of the late Marcus Borg’s observations concerning Belief and Faith . I “believe” our common understanding of Belief and Faith are thin, spindly-legged things. This leads to misunderstanding our sacred scriptures, and more importantly, to being misguided, and misbehaving. Note that this understanding of Belief is rooted in FEELING. And I do have the impression that a big reason many people bother to go to church at all, is so they feel better about themselves. In and of itself, this is not a bad thing. These are among the central teachings of Jesus. So in the religious context, Belief carries the connotation of affirming as true, that which one would otherwise not hold to be true. And apparently, Faith, is really affirming as true, that which one would otherwise not hold to be true. The Virgin Birth, is a prime example. This is of course, based upon a mis-translation of Isaiah 7:14 . As bishop Spong recently reminded us, that mis-reading has been known since at least 150 c.e. If nothing else, we Christians are a stubborn lot! But far more importantly, by being mislead toward a false belief in Virgin Birth (as only one example among many) ―in expending all that energy, to belief a falsehood, as if it were factual― we become completely blind to the larger Mystery which we are supposed to be seeking! 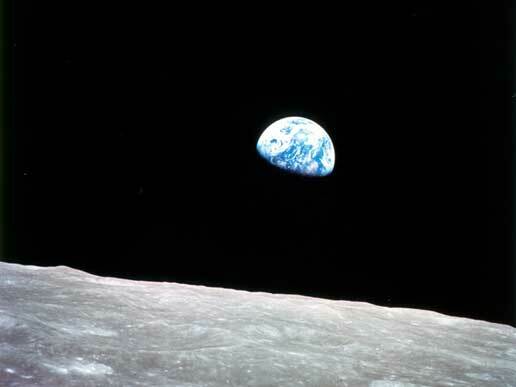 We simply no longer live in a three-tiered cosmos. We live in a universe some 13.8 billion years old, more vast than we can really grasp. Faith as faith-full-ness ― is fidelity. Borg asks that we consider the example of fidelity in marriage. This means being faithful to the relationship with one’s spouse. Please note: This is not being faithful to a set of logical statements concerning one’s spouse. In the same way, fidelity to God is not about believing dogma, church traditions, or even scripture. Fidelity to God is being faithful to one’s relationship with God. which Christians choose to identify as God, or Father. throughout our daily life, as best we are able. I start by being aware of each moment as it passes. I open ourselves to the possibility of feeling a Presence at any time. I look for opportunities to relate to others directly, with compassion. Why? Because “God” is not up in heaven somewhere, and “God” is not “out there” somewhere. We are immersed in the Sacred More all the time, as is a fish in water. Sometimes we are aware of this. Fundamental, foundational trust in one’s relationship with God. This is not trust in statements, affirmations, or assertions about God. The root lies not in logical constructs, but in experiential relationship. as rooted in a personal experience of the divine. Sidebar: Sensing our personal experience of the divine is one way I define Mysticism. in all those we meet. Our daily life is the only place we “meet God” ― because this is where we are! …putting a roof over someone’s head. 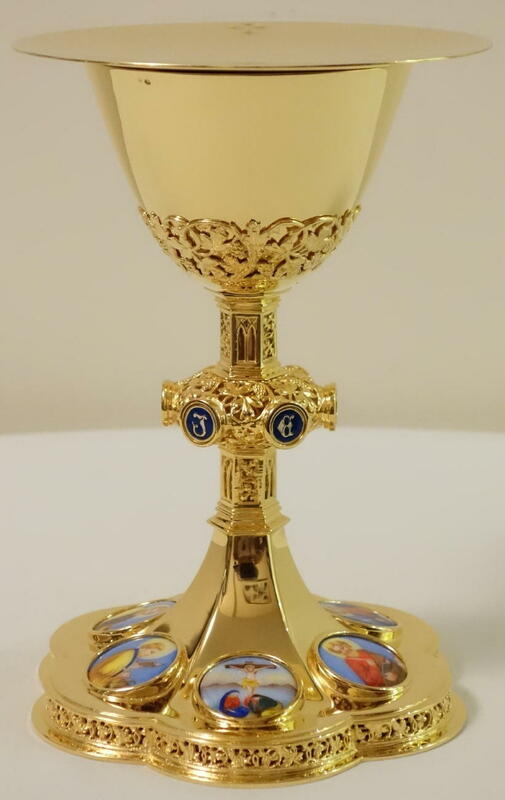 First of all, I wish to let everyone know this is an Open Communion. Everyone is invited to take Communion with us. Our Communion is a symbolic breaking of bread, of sharing our table with those who have little or nothing to eat. It is a symbol of this communities, continuing commitment to feed the hungry of Springfield. This clearly embraces the heart of Jesus’ teaching. This is one of the things that attracted me to this church. It is one of the things that still attracts me to this church. I believe there is a Mysterious More which permeates the cosmos. I choose to identify as a Christian, because I find Jesus is the “decisive disclosure of the More,” . The More in which, “we live and move and have our being” [Acts 17:28]. Thus, as a Christian, I seek some degree of theosis  with the Christ. …to Put on the Mind of Christ. …to have the breath of the Christ living in me ― and through me, into the world. …to better enable me to adopt this orientation toward life. …to help me keep my heart and mind disposed toward embracing a Loving Spirit. …I benefit by this reminder, and this re-committment. …that through my thoughts ― the Mind of Christ may quicken within me. …that through my lips ― His spiritual powers may be made manifest. …that through my heart ― the Love of God may shine forth. In this light, I’ll ask you to consider Marcus Borg’s translation of John 3:16. To better understand the word Belief, Borg asks us to simply translate it as Be-loved. based on examination of evidence. Isaiah 7:14 is typically taken out of context when quoted by Christians in the defense of Jesus’ virgin birth; few who read it are aware the Hebrew word used is ***Almah, which carries a range of meanings: girl; maid; maiden; young woman, and virgin. ***Almah is indeed translated as virgin in the Greek Septuagint translation of the Hebrew Bible (from which the author of Matthew drew their reference). However, this is obviously a mistaken interpretation when read in context; read Isaiah 7:10-17 for yourself: “Isaiah Gives Ahaz the Sign of Immanuel”… 10 Again the Lord spoke to Ahaz, saying, 11 Ask a sign of the Lord your God; let it be deep as Sheol or high as heaven. 12 But Ahaz said, I will not ask, and I will not put the Lord to the test. 13 Then Isaiah said: “Hear then, O house of David! Is it too little for you to weary mortals, that you weary my God also? 14 Therefore the Lord himself will give you a sign. Look, the young woman [Greek, the virgin] is with child and shall bear a son, and shall name him Immanuel [God is with us]. 15 He shall eat curds and honey by the time he knows how to refuse the evil and choose the good. 16 For before the child knows how to refuse the evil and choose the good, the land before whose two kings you are in dread will be deserted. 17 The Lord will bring on you and on your people and on your ancestral house such days as have not come since the day that Ephraim departed from Judah—the king of Assyria.” (NRSV) Basically, this passage is a prophecy that the current siege shall be lifted after the young woman gives birth, and that king Ahaz will not be defeated by these two kings, as he fears. It has nothing to do with Jesus’ virgin birth (although in the ancient literature of many cultures, accounts of virgin births are mythic/legendary elements often employed to raise the status of those to whom they are directed: Krishna (India); Horus (Egypt); Lao-Tsze (China); even Plato (Athens); as well as, Dionysus, Buddha, Zoroaster, and of course Jesus). This is not to imply that virgin births are not important, but they are not to be understood literally either. It was on icy January day in South Carolina, that the sacrament of Holy Orders was celebrated in which I was ordained. It was the feast day of the conversion of St. Paul. So, as this anniversary fast approaches, my thoughts turn once more to St. Paul. Paul’s is the earliest Christian voice we hear. His earliest surviving letters date to about 20 years after Jesus was crucified, to about the year 50. 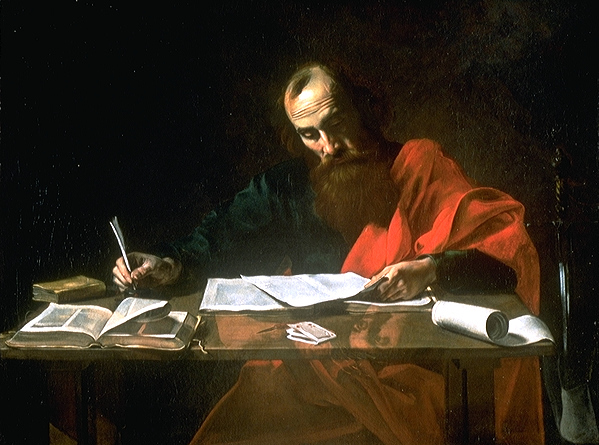 Paul is thought to have continued writing until the year 67 or so, when he was martyred in Rome. During this brief span of 15 years or so, Paul traveled throughout the eastern Roman empire, spreading his understanding of the Christ. The surviving undisputed letters of Paul account for some 25% of the Christian New Testament. If one includes letters written in Paul’s name ―but almost certainly not by Paul himself― we can say Paul directly or indirectly influenced nearly half of the New Testament! But Paul initially persecuted followers of Jesus. Indeed, Paul was engaged in a mission of persecution right up to the moment of his conversion, when he was struck by a vision so powerful, that it changed his life forever! Thus, Paul became a Christian instantly, directly as the result of a profound mystical experience. And if we take Paul at his word, he continued to have visions and mystical encounters throughout his life. This is why I believe it is accurate to call St. Paul a Christian mystic. Many of us associate mysticism with highly emotional, or sense-based experiences. One of the better known works of Western Christian mysticism is “The Cloud of Unknowing” written in the 14th century by an unknown author. This author encourages feeling, especially love, when seeking an ecstatic state which they understand to be a means of drawing nearer what we may of the Divine. But he doesn’t mention this experience in order to suggest others should seek similar experiences. Rather he uses it as a cautionary tale, as an example of what one should *not* seek. Among Paul’s concerns with feeling- or sense-based mysticism, is that it may lead to boasting of one’s accomplishment in having had the experience. This in turn may lead to a sense of self-centeredness, or as we might say today, our falling prey to an inflated ego. More to the point, it draws attention inward to ourselves, and may lead one to believe that observing the Christian tradition ends with ourselves. What Paul fears I suspect, is that we may pay too high of a price in that we may neglect our service to those in our community. Paul was very concerned with the ekklesia he was establishing. Ekklesia is the Greek word which we often translate as church. But it may mean many different kinds of gatherings or assemblies of persons. The sense which I mean to convey with the phrase Ekklesia-based mysticism, is a form of mysticism that is based in concern for one’s community. “…through love become slaves to one another. For the whole law is summed up in a single commandment, ‘You shall love your neighbor as yourself'” (Gal. 5:13-14). “For in Christ Jesus … the only thing that counts is faith working [or: made effective] through love” (Gal. 5:6). “…it is no longer I who live, but it is Christ who lives in me” (Gal. 2:20). I speak of theosis with some frequency. Theosis is what I believe Paul is encouraging us to seek when he says we should put on the mind of Christ, or live is such a way as to have the Christ live in us―through us. One aspect of this is captured in the popular question, what would Jesus do? Psychologically, this is a re-frame. We prompt ourselves to step out of the human animal-driven moment, and ask what a person who lives within a higher spiritual frame of reference might do? Jesus also spoke of this when asked what were the most important laws of the Torah. Jesus basically answered that one must love God, and love one’s neighbors (there are more subtle points, as well, but I am simply paraphrasing). As we read, Paul said the same thing (Gal. 5:14, “‘You shall love your neighbor as yourself'”). This is not surprising, as it is a long-held ideal in Jewish thought. One of the main points of theosis is to strive to become a living embodiment of Christ Jesus. Another main point of theosis is to strive to help others become a living embodiment of Christ Jesus. And on a practical level, the point in doing so is transformation of our own consciousness, and to transform our community into a living example of God’s kingdom, right here on earth, during our own life time. And what is the key to seeking the mystery of the Christ in you? I believe this is the most important message Paul delivers. If you get nothing else out of reading and studying Paul, understand that love is at the center of all that we do, when we are striving toward our highest standards. Do you want to put on the mind of Christ? Do you want to live in such a way as to uphold the Word (what I would argue is the Christian apprehension of the Torah)? Do you wish to see Christ Jesus living within you more strongly each day? …the greatest [virtue] is love. …through love become slaves to one another. and so make us witnesses to your truth in the world. 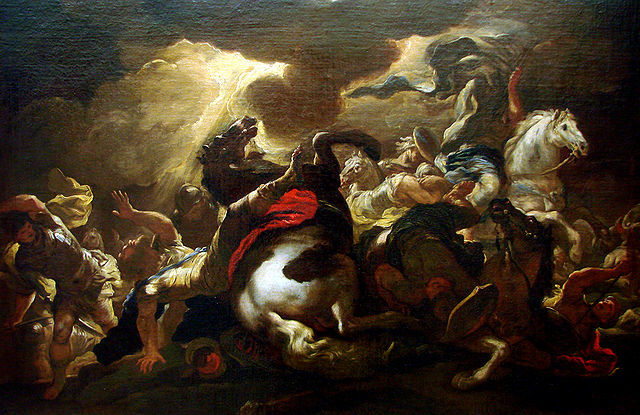 Today is the Feast of the Conversion of Saint Paul the Apostle. It is also the first anniversary of my ordination as a priest. So I thought it appropriate to say a few words about Paul. I find Paul to be a very complex and interesting person. His writings are sometimes confusing, sometimes polemic, sometimes mystical. Paul can both challenge one’s mind and inspire one’s heart. By happen stance, in recent months I have revisited my studies of Paul, and found a deeper appreciation for his writings than I had previous felt. If one accepts that Paul wrote all of the books and letters of the bible once attributed to him, he wrote half the New Testament. If one accepts only those letters which the vast majority of biblical scholars consider Paul to have written (the “authentic” or “uncontested” letters of Paul), then he still authored about one quarter of the New Testament! So whether we believe Paul wrote 7, 13, or 14 books of the New Testament, we can certainly agree his influence upon the early development of what was to become the Christian Church was quite large. A rather indirect way of reading Paul, is as a means of better understanding some of the changes that took place within the early church. Although, calling this the early “church” is somewhat problematic, as this presumes a Christian perspective was in place at that early date. (This is doubtful at best, and it certainly would not be anything we would recognize as today’s orthodox Christianity.) Jesus, was of course Jewish, as was Paul. In fact, it seems safe to say that the vast majority of persons following Jesus would have been Jewish. In this sense, it is very correct to observe that this “Jesus Movement” took place within Judaism, and was another means of understanding and expressing Judaism. I am reasonably convinced that Paul must have died thinking of himself as Jewish. And more specifically as a Jewish Christ Mystic (more about that shortly). I do not wish to become bogged down in details, but a few chronological markers may be useful. Jesus was executed by the Romans circa 30 ce. Paul’s earliest surviving letters were written between 50-67 ce. Paul was martyred circa 67 ce. The first gospel (Mark) was written circa 60-75 ce; Matthew and Luke/Acts circa 75-85 ce; and John circa 90-95 ce, about the same time frame as Revelation (although written by a different John). The late letters in the New Testament are usually dated by biblical scholars to between 75-125 ce. Paul is our earliest author of the New Testament. Paul’s authentic letters pre-date the four gospels. Among the last texts of the New Testament to be written are the Gospel of John and Revelation. Also among the last texts to be written are many of the letters found in the New Testament. We may also observe there is an apparent difference of character of texts written in the 50’s vs those written in the 90’s. This allow us to read parts of the New Testament against others, to obtain a sense of how the early church was changing, and how its understanding of itself evolved during the first 100 years following the execution of Jesus. We may most clearly see this in the various letters of the Pauline school. We may see some of this influence in the Johannine school as well, although they are all later understandings of the church, by which time I believe we may properly speak of a Christian Church. The “proto-church” prior to the 50’s is best understood as a Jesus Movement, taking place within Judaism. The “proto-church” of the 50’s and 60’s may be understood as developing into a schism between the Jewish and Gentile Movements. Both of the above are best understood as separate movements, stemming from a common Jewish Jesus Movement. 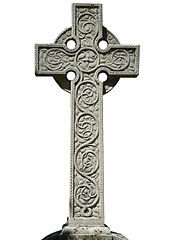 The church of the 90’s is best understood as having by that date developed a distinctive Christian Church self-identity. It is often useful to think of the proto-church of the 50’s and Christian Church of the 90’s as distinctly different from one another. To use round numbers, I sometimes speak of these as the proto-church of the 50’s and the early Christian Church of the 100’s. So what has this to do with Paul? The collection of Pauline writings are understood by the vast majority of biblical scholars and historians as ranging chronologically from the early 50’s to the 90’s, and in some cases even later. Clearly, if this is true and Paul died in about 67 ce, he cannot be the author of all the letters written in his name. It is fair to point out this is hotly debated in some circles. One may find opinions ranging from Paul wrote all of Paul’s letters, to Paul only wrote the seven uncontested/authentic letters. I number among the second group. Therefore, I see several “Paul’s” as contributing to the collection of Pauline texts. In fact, there are at least three or four different Paul’s. And given Paul’s character plays such a large role in Acts, I think it is appropriate to count that as the fourth Paul. The first is the “authentic” Paul who wrote in the 50’s and 60’s. The second Paul is the author (or authors) of the “disputed” or “contested” letters of Paul. Scholarship is roughly evenly divided on these letter, as to who wrote them. It is possible that by this time there was a “school of Paul” which produced these texts, either with the authentic Paul as a contributor, or after his death, but still close enough to feel a close kinship with most of Paul’s central teachings. The third and last group is the Pseudepigraphic (forgeries) Paul. Almost no one thinks Paul wrote these letters. The fourth Paul is the character represented in Acts. This is clearly not actually Paul, in the sense that when “Paul” is speaking in Acts, the author is writing as all ancient historians did, placing on Paul’s lips those words which the author thought Paul would have spoken in those or similar circumstances. Acts is a secondary source, and we should bear this in mind when Acts is at odds with Paul’s own letters. These are the various Paul’s. I find this to be highly instructive as Paul is a complex figure, and often misunderstood and even, I feel, sometimes misrepresented. This is one of the reasons “Paul” presents such a divisive bone of contention among some Christians. How are we to read Paul? Did Paul teach we are all one in Christ, or was Paul a misogynist? Are we to seek freedom in this life, or remain slaves? Engage in an active sexual life (within marriage) or should we remain celibate? Do we love Paul or revile him? Each of these competing views of Paul have an answer. In some cases the apparent dichotomy is illuminated by understanding Paul better. Paul was an apocalyptic Jew. Among other things, this means he believed in a future bodily resurrection. Not only this, he believed Jesus’ resurrection was best understood as the First Fruits of the wider general resurrection, and that the general resurrection was soon to come. Therefore, it is best to remain celibate and concentrate upon the dawning Kingdom. And for those unable to remain celibate, to marry. Therefore, if a slave it is best to remain a slave. If already married, remain married. What these views have in common is that the end is soon to come (Paul fully expected to be alive for the general resurrection), so there is no point in changing your mundane life; one should instead focus upon the sacred. I believe we can be certain had Paul known that “soon” meant 2,000-years or more, in some ways his teaching would have been quite different. This is a valid point to my mind, and one of which we should be cognisant. But all of the above, as interesting and instructional as I personally find it, is not really the most vital and important aspects of what I feel Paul was trying to teach us. I feel the most vibrant and deeply meaningful way of reading Paul is as a Jewish Christ Mystic. Each of these words is important, and draws us into a closer understanding of Paul. He was Jewish. In fact, he was a pharisee. Pharisee’s have gotten a bad reputation over the centuries. But most basically they were extremely concerned with keeping the laws of the Torah. So much so, for fear of breaking these laws, they developed an even more strict interpretation! But Paul was also an apocalyptic Jew. This meant the end of the present era was to come to an end, and God would bring about a new world. And what of Christ? Paul himself states he initially prosecuted Christians! (Although that specific term may be anachronistic.) Why? I think the most reasonable explanation is the claim that Jesus had been resurrected, and was therefore the Jewish messiah. This would have been categorically unbelievable to Paul, a skilled Jewish pharisee. Jesus was crucified, and that alone would preclude him from ever being any kind of Jewish messiah. Jesus would have been cursed by God, not raised into glory by God! But then Paul had his conversion experience on the road from Damascus. Paul either saw and/or heard the raised Jesus, and this experience totally and completely changed him for the rest of his life! This is when Paul came to understand that Jesus *had* been raised, and this understanding was framed by his apocalyptic world view. Thus, Jesus becomes the risen Christ and is the First Fruits of the impending general resurrection. And this is where Paul begins to develop his mystical understanding of what role the Christ plays in our lives. I would say this is one of the central tenets of Paul’s mission, as he saw it. This is also my favorite aspect of Paul’s teachings. Central to Paul’s teaching is experiencing the risen Christ in our lives. This may happen in a variety of ways, some identified by Paul and some not. As a mystic Paul was all about the *experience* of being in the Presence of the Divine. Paul himself had a number of such experiences. This is what I find so appealing about Paul. Whatever we may make of his letters, we can appreciate that he had a number of experiences of Divine Communion. And this is something to which we may all aspire! Within Paul’s mystical teachings there are two themes which run hand in hand. The first is of personal transformation. We must put on the mind of Christ, and allow the Christ to live in us, through us, for us to become one in the same with the Christ. The second point is in having this experience of personal connection to the Divine, and experiencing the personal transformation that comes from such an experience, to effect transformation of the world! *Both* points are very critical to Paul. And I think it is fair to read Paul as saying that the Kingdom of Heaven is at hand, yet it is each of *us* who must do what we are able to bring this Kingdom into our world. It is a participatory event, in which we are integral members, not inactive hanger-ons! “Faith, hope and love. But the greatest of these is love” (1 Cor. 13:13). This is the light by which I read Paul. When I find a passage which conflicts with these aspirations, and which conflict with his two central teachings of personal transformation and transformation of the world, then I feel confident either Paul did not write that, or we misunderstand Paul’s meaning. Recommendations for further study of Paul. Prof. Johnson holds a very different view of Paul than do I, as he reads all of the Pauline material as being directly or indirectly authored by the apostle Paul. He offers a wonderful and stimulating lecture series which I highly recommend. One of the points I find most interesting turns on a widespread misinterpretation of the original Greek in one of Paul’s letters. He explains this much more fully in his lecture, but the issue concerns faith *in* Jesus or the faith *of* Jesus. As many Christians will recognize, one of these views forms a cornerstone of Christian Faith for a great many Christians! Yet it is based in a misinterpretation of the original Greek. Having faith *of* Jesus may be read a number of different ways. In part I believe this is because it is born of a mystic interpretation, and such interpretations are always at least a little misty, if not down right foggy! First, we recognize that Jesus had a tremendous and deep faith in God. In this light, the path to God is not through faith *in* Jesus, but in having the same quality of faith *of* Jesus *in* God! See the difference? *We* are active participants in this process. As I think we must be, if personal transformation is one of the vital keys (as I do). I relate this to the theme of theosis which is so important to the Eastern Orthodox Church, but which has been largely lost here in the West since the Great Schism in the 11th century. And I also relate this to putting on the mind of Christ, as Paul spoke of so often. The book authored by Marcus Borg and John Dominic Crossan offers a wonderful collection of insights to Paul! I thoroughly enjoyed it and found it both refreshing and instructive. One of the main themes they paint is that of Paul the Jewish Christ Mystic. I really do think this grabs a hold of something vital in Paul. And I do not think we can really understand Paul without seeing him in this light. This book is a mixture of solid scholarly historical research, and of developing a sincere appreciation for the Mystical Paul. And we need both. We need to understand as well as we may the world of the 1st century, and we need to read Paul as a mystic, trying to reveal to us what he may of his experience of the Divine, and how we might take part in the spiritual transformation of the world. If we don’t get that -until that hits us on a gut level- we are missing the whole point of the New Testament! Is God an Outside Job or an Inside Job? 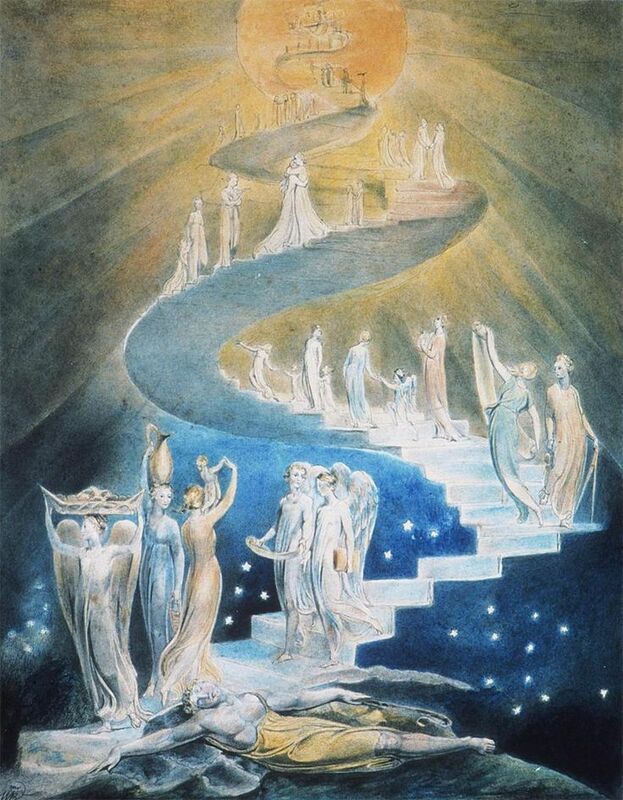 Whether God is an Outside Job or an Inside Job, is a fundamental question which strongly effects how -or even whether- one might seek a mystical experience with the Divine. It requires us to question how we anticipate God acting in the world. Answering, requires that we reflect upon our understanding of the ontology of God. What is our relationship to God, in terms of relative classification or “kind” of being? An outside force, divorced from humanity (this is the “invading” God of which bishop Spong speaks). A living force, which flows up from our depths of being (an aspect of Tillich’s “ground of being”). The Outside God is always alien to us; a God from which we are forever separated due to our nature; God is radically Other. For those seeking a mystical apprehension of the Divine, perhaps the most important point to note is that -due to our very nature- we can *never* attain Unity with the Divine. The separation between God and Humanity is devastatingly, categorically absolute. The Inside God, in stark contrast to the Outside God, is of the same nature as are we; we share an essence of the Divine; we have access to the vitality of the Divine; some even observe the Divine *is* the very life we carry. In this view, each of us contains an “inner spark of the Divine.” Some view this spark as innate, others as potential. (Is it a flame or a seed?) We may be removed from God by various degrees, but because we and God are of the same root nature, ultimately of the same Source -because ultimately there is only One- we are always potentially able to attain (or return to) Unity with the Divine. Or are the texts of the bible representative of the human effort to apprehend God? Are we derivative of the Divine? I suspect we are. I suspect we flow from the Divine Source. I certainly do not think the Divine flows from us: through us, yes; but not from us, as if we are the Source. At least, in so far as we presently exist. But I also suspect the question is more complex. Our views are constrained by concepts such as Time. If one is able to imagine a view which does not include Time, one might find questions such as who is derivative of whom to be without meaning. For reasons such as this, I believe we are well served by maintaining a certain “looseness” in our thoughts and apprehensions. I have long suspected that after our physical deaths we may very well discover that a great many of the questions with which we are so concerned, will not be found to be right or wrong, but rather so thoroughly misapprehended, as to be without meaning. Yet we must begin where we find ourselves, and work with what tools we have. I call this Practical Mysticism. The subject of mysticism and of seeking union with the Divine is so broad and deep that I suspect we will never take its measure in one lifetime. Severely complicating matters is our inability to express the experience through language. This inability to share the subtle nature of the experience of the Divine limits our ability to learn from the experience of those who travelled before us. Great mystics have left us clues. Impressions, however vague, of their apprehension of the Divine. But such works are nothing like engineering texts describing how to build a bridge or rocket. Thus, to a large degree we each must plot our own course into the Unknown. And it is all too easy to loose our bearings. It is my opinion we should attempt to fix, as best we may, certain points to serve as light houses, or constellations, by which we may sail into the Cloud of Unknowing, which surrounds and obscures the Divine. Yet we must always remain aware these are relative bearings only; they do not, and are not meant to, literally limit the Divine to the confines of our puny intellect. The quality or state of being transcendent. The quality or state of being immanent. Being within the limits of possible experience or knowledge — compare transcendent. Incapable of being expressed in words — indescribable. There is an aspect of the Divine which will always remain to the human mind and heart utterly Transcendent. We forget this when we squish God into a box and define who God loves and hates, and are so arrogant as to explain why. This aspect of the Divine is incomprehensibly alien to us. This apprehension of the Divine informs us that we know so little of the Divine, as to know nothing. We should be incredibly humble in face of this profound state of ignorance, which we all share. Yet, simultaneously there is an immanent aspect of the Divine, one which bubbles forth from our own depths! (And from all life, for that matter.) This is the aspect of the Divine which we may come to know as a part of ourselves, intimately. This is the inner-divinity of which all mystics speak, yet are unable to fully express. We might consider the implications of the ineffable nature of the experience which mystics seek. Having had an experience of “Mystical Union with the Divine” it is consistently related as being an experience which is incapable of being expressed in words. Imagine “seeing the face of God” and being unable to relate that experience to others, except in the most impoverished terms. we too may aspire to share a similar sense of Union with the Divine! if they can do it, so may we! Infallibility & Inerrancy: Do Words Have Meaning? Who Decides? This is an addendum to my evaluation of two Statements of Faith in August 2013. As is often the case with theological discussion, one must be careful to define the terms one is using, and to be aware of the definitions others are using. One of my bishops observed that it seems I made a mistake in assuming the dictionary definitions of two particular words were being used, when it is much more likely their theological definitions were intended. Now I believe these represent fairly minor points in the respective documents, however I do wish address this point for two reasons. First, I think it may be a useful illustration of how important it is to be aware of the meaning of the specific words. Second, it underscores how easily we can fall into the trap of assuming we know what another person means to say, only later discovering we may have been mistaken. Merriam-Webster defines these words quite closely, in fact, one of the definitions of inerrancy is infallibility. I suspect this is the root of my assumed meanings conveyed by these words, as I expressed in the previous evaluations in August of 2013. However, upon reading the definitions more closely, one might discern that inerrant is a more limited term. A text may be determined to be free from error, but one may think of this as a technical description of the competency of the editing, publishing, and printing processes. A key point is that inerrancy may not speak to the truthful, or even the factual, quality of the premises which the document asserts. Regarding inerrancy, Wikipedia offers the following…. The obvious problem with this proposition is the “original manuscripts” no longer exists. So logically the argument is of no use as any kind of proof. But this is a different argument, and not the one I wish to pursue in this addendum. A greater difficulty is this definition is already slipping into the realm of infallibility, which is a highly subjective measure. The question, finally, is what kind of confidence can those who hear the Word of God proclaimed from scripture have that it’s the truth? Fundamentalists would say that it’s all literally true, so we have every reason to be confident. But that ignores what exegesis has done for us in the last 200 years, identifying the different forms of literature in the Bible, the contexts of the communities in which it was written, and all the rest. You’ve still got the problem, however, of the affirmation in faith that inspiration and inerrancy go together, so that what is inspired is also inerrant. At the same time, you have to discover what inerrancy means when you’re not reading a newspaper, but you’re reading poetry, or a myth of some sort, or a fable or a parable. We can make that distinction more easily in the New Testament, when Jesus is speaking in parables. It’s harder sometimes for us to make those distinctions in the Old Testament. Please note the Cardinal’s observation that we must distinguish the type of prose we are reading. This is critical. Reading a newspaper speaks to a different kind of truth than does poetry and parable. I have tried to make this point in some of my past writings. I have found the late Prof. Ron Miller expresses this better than anyone else I have yet heard (most likely in his “Unpacking the Parables” talk, given to the Theosophical Society). Elsewhere in the short except of Cardinal George’s interview, he states that one view of the understanding of biblical inerrancy is that the bible speaks to our salvation: it is our salvation which is ultimately held to be inerrant; not the literary forms of expression; not the authors understanding of geology nor of astrophysics. I find this very easy to believe. On the feet-on-the-ground perspective, it is obvious to me that our understanding of science and the nature of the universe has evolved over the centuries, and it is unreasonable to try to force a mind of the 1st century to fit the molds we have developed in the 20th century. The arguments about God, God’s Inspiration, and “invasion” into the world are critical points. These will be discussed later. For now, I wish to set them to the side, and simply observe they are not required, and not highly useful, in defining our terms inerrant and infallible; nor are they very useful in discerning the differences between these two terms. So I set them aside for the time being, not because they are unimportant, but because I do not find them useful in refining the definitions of inerrancy and infallibility. I also wish to offer additional views discussing the subject of biblical infallibility. Should readers wish to peruse these sources, I believe they will find a deeper appreciation for the lack of clarity surround the questions of biblical inerrancy and biblical infallibility. Efforts to closely define these terms is difficult. Agreeing upon how they are best employed in aiding our understanding of sacred scripture, has yet to occur. This web page covers a lot of ground, including the doctrine of papal infallibility (which I have no intention of discussing at this time), not all of which pertains to our current discussion. But it does offer a broad view of a number of points of divisiveness surrounding the topics of inerrancy and infallibility. This web page presents an interesting summary of a debate between two distinguished Roman Catholics, who none-the-less draw opposite conclusions in their close readings of a particular Vatican II document (I believe it was “Dei Verbum” (Latin for “Word of God”)). The above discussions, while interesting, for the most part take a different line of questioning than I intend to engage in at this time. Let’s begin by returning to the Merriam-Webster definitions, and from there transition to a discussion about our means of discernment. In my opinion the differences as defined by Merriam-Webster in meaning are subtle, and of only minor significance in the scope of my evaluations of the previous Statements of Faith (see August 2013). But as we have seen above, if we begin to parse out the relative meanings of these words as defined by various theological sources, we find greater differences emerge. I see much of this as the result of failing to distinguish between qualitative and quantitative interpretations. Most basically: a qualitative measure is subjective, and a measure of quality; a quantitative measure is objective, and a measure of quantity. For example, how I feel about the color blue is subjective and qualitative, whereas the measurement of the frequency of its wavelength in nanometer is objective and quantitative. The first requires I make a subjective judgement regarding “quality” of the color; the second only requires a properly designed and calibrated machine to measure the “quantity” of light. Each of us may find the shade of blue chosen evokes different feelings; but each of us must come to realize the measurement of a meter is always the same, and that our feelings regarding the measure of a meter in no way effects its length. A silly example perhaps, but I think instructive in helping us recognize two very different methods of biblical interpretation. And should we confuse one for the other, or fail to recognize there are multiple methods of “measuring” sacred scripture, we are doomed to failure before we have begun our efforts. My opinion is inerrancy is an objective measure, and therefore quantifiable. It is a measure of the words employed in the text, and in the accuracy in duplicating a text. If we wish to instead discuss the *meaning* of the words employed in the text, we have then entered into the realm of the subjective and qualitative; such discernment falls within the definition of the word infallible, but not inerrant. We may observe that where there are multiple copies of manuscripts (hand-written books) no two have been found to be entirely identical (small fragments excepted). This is not to say that all hand-written copies of sacred texts are wildly different from one to the other. Most errors, or differences, are quite minor and easily detected. Poor spelling is the most common “error” but given that the dictionary had not yet been invented, we can forgive such minor differences. Larger differences include skipping lines, or omitting words, or citing quotations from scripture improperly (and in some cases, in correcting previous errors of this type), or in mistakenly incorporating an earlier margin note into the body of the text. So we find that some of these differences are quite minor. Some differences are more significant, but still readily detectable, provided one has a sufficient number of additional manuscripts for comparison. However, in no way can one state the body of work is “inerrant.” For this to be true, all manuscripts must be identical. “Infallible” is a more resilient term because it may simultaneously distance itself from “inerrancy” while pairing itself to what one subjectively considers to be the proper spiritual or moral interpretation of the text. And this is a qualitative judgement, frequently claimed by virtue of one having been granted Divine Inspiration. “Because God told me” is clearly a less objective measure than pointing to a printed text and claiming that the reproduction of the document is without error. My problem with this line of argument is the word “infallible” becomes increasingly slippery. This seems to my mind to be shifting the question to an ever-receding point. And I want to answer the question of whether and to what degree do we entertain sacred scripture is literally true? Metaphorically true? Allegorically true? If one grants that the bible is not inerrant (my apologies for the double negative), but that it remains infallible, what is the scope of this claim? Does this apply to every single verse? Every sentence? Are all sentences describing the same event equally infallible? My belief is this puts too fine a point on the measure of “infallibility.” If we do so, we witness a precise, functional meaning of infallibility slipping from our grasp. Beyond this, how do we resolve irresolvable and incompatible differences between texts? For example, did Jesus die on the day of preparation for Passover, or on Passover day itself? He only died once, so it must be one or the other; Jesus cannot have died twice, on consecutive days. How do we explain this from the perspective that each gospel is infallible? I find the best answer to this kind of question is to recognize that each author wished to emphasize a different point. The four gospels are each different in certain respects exactly because each author was trying to highlight a different understanding of what the life and ministry of Jesus meant to them. This is why it is useful to better understand the context in which each book or letter was written: written by whom? to what audience? for what purpose? Seen from this perspective we realize that sacred scripture may be objectively incompatible, yet subjectively coherent. The measure of infallibility has eluded our grasp yet again. Might holy scripture be infallible, yet errant? To my eye, to say that the bible is infallible, yet subject to error (not inerrant), is to say that while specific facts may be found to be in error, or that technical errors, omissions, and contradictions take place in the text, when it comes to critical matters of theology, the truth being related is infallible. I feel this is the strongest claim one may make for sacred scripture. But will this position survive scrutiny? Obviously, this leaves as an ongoing question, of what specifically are these “critical” matter of theology. Whether the bible is infallible on specific points of theology one must examine each point. And this is a complex process, even limiting the scope of the theology to the Hebrew bible and New Testament, let alone if one extends the scope to underlying truths common to all religions. This is also deeply steeped in subjective judgements regarding the content of the scriptures. I have very little faith that people will be able to agree on the details of such subjective, yet to many of them highly emotionally charged beliefs. I see no hope for consensus in determining exactly what words would be used in printing any single “infallible” edition of the bible. And to do so in modern English is an impossible task. There are too many choices that must be made when interpreting the oldest and best (least errant) Greek manuscripts. So where does this leave us? For my part, the best I believe I can honestly offer is that holy scripture offers us inspiration. I’ll leave this important word hanging until I address the topic of mysticism, for they are closely related. Is sacred scripture infallible or not? I do agree that scripture may be argued to be infallible. However -and this is a giant however!- in no way do I believe we are capable of arriving at a consensus as to what this actually means once we begin discussing the text in a close, critical reading. Sacred scripture is infallible only in theory; but not in any practical sense which we may objectively put to use. The degree of personal interpretation required in digesting holy, sacred scripture pushes any such consensus beyond our mortal reach; therefore, infallibility is always a subjective standard. But if the scriptures were written by human beings, I do not think the question is even sensible. The problem is this: only perfect human beings (or those who have perfect knowledge, even if “limited” to the subject of the Divine, of all things), can write an inerrant or infallible book of sacred scriptures. And no person is perfect. And one must remember we are not speaking of one perfect person, we are speaking of a long chain of such perfected persons over thousands of years of human history. This just seem completely implausible to me; completely beyond credibility. Ludicrous, to be brutally honest. Especially given we have a perfectly reasonable and logical alternative model. I packed a lot into the previous three paragraphs. Perhaps a way of making my thoughts more clear is to ask what mind composed our sacred scriptures? Is sacred scripture a product of a Divine Mind or of a human mind? I believe this is at the core of the question with which I am struggling in this blog, and which lies at the heart of determining if sacred scripture may be inerrant or infallible. What if God is the author of sacred scripture? What of infallibility? If God did not literally “write” the bibles (Hebrew and New Testament) did God “inspire” them? Did God inspire these scriptures in such a manner as to install infallibility into the writing -and copying and editing- of these scriptures? We have returned to very slippery ground. But I’ll add another perspective to the question. For the sake of argument, let us grant that God *has* provided, through human devices, the perfectly inspired, infallible set of texts. Even if this is true…. …human beings are unable to discern it! Why? Because we do not possess the Mind of God. While I do believe we may be inspired to greater degrees of clarity and understanding, and while I do believe epiphanies take place, our comprehension is limited by the nature of our humanity. God must speak to us in terms which we are capable of understanding. And our human limitations leave us short of grasping perfection – and almost everyone who makes this argument also asserts God, by definition, is perfect. What of apprehension? If our comprehension is too limited to grasp the Mind of God, then perhaps we may perfectly intuit God’s Message? I do suspect this is one of our best means of experiencing the Divine in the fullest degree of which we are able. But I do not believe this offers complete or perfect connection with the Divine. To say we may be able to maximize our human experience of the Divine, is not to say a human may experience the maximum degree of all that is Divine. Expressed another way, to say we may be able to completely fill our senses and perception with that which is Divine, to become totally immersed in the Divine, in no way means that we have experienced the totality of that which is Divine. This concept may be more obvious when presented as an image: imagine a small circle and an extremely large circle; you and I are the small circle; that which is Divine is the extremely large circle; even if we reside entirely within the Divine, there is much more of the Divine than we occupy. We are simply too small. I do believe there is an overlap between the human and Divine. I even believe there is a Divine Spark within each of us (which we may either nurture or ignore). But the entirety of the Divine is incapable of being contained within that which is human. I believe this is why the Hebrew scriptures say we cannot see the Face of God – to do so would be to metaphorically burst us into flames, reducing us to ash! Quite simply, the bible is *not* a Top-Down document. The bible is a Bottom-Up document. The bible is not God speaking to us. It is a bunch of human beings working out an increasingly refined understanding of the Divine, over a period of thousands of years. Instead of revealing God to us, the bible reveals our human perception of God. And these are two very different things! That we humans wrote the bible, and not God, I find a great relief! We need not ponder why “God” desires to slaughter entire ethnic groups, or pours out a flood in an effort to wipe out nearly all of humanity (to say nothing of the rest life teeming on the planet). Instead we are able to appreciate the slow advance of human compassion and our growing spiritual maturity over the course of thousands of years. Ever-so-slowly we are learning to leave behind the tribal god, who hates everyone we hate. We are creatures of intellect. Our ability to reason is that which has raised us above all other animals on this planet. But intellect has its limits. Intellect can be cold and devoid of love or compassion. Intellect is a tool – an important and wonderful tool, in fact. But this tool is not the spiritual imperative which drives us to develop and use that tool. Beyond simple survival of the fittest, we discover a drive for spiritual enlightenment. To be made in the image of God means that we have the ability to reason logically and to behave rationally. But we are also creatures of the heart. To be made in the image of God also means that we possess emotional and spiritual aspects which are every bit as important as our rational abilities – perhaps more so. It is these qualities of the heart which we desperately need to develop. We like to believe we have very effectively put on the Mind of God. We have libraries filled with books of theology, comprised of many religious traditions. Yet we cannot live in peace with one another. Love for that which is Other remains largely beyond our reach. We need to focus on living in the Heart of God. We need to learn that where hatred and murder reside, God does not. Where we are to find God, we will find tolerance, acceptance, and love for self and others. I like to think that many of us are learning to live in our heart, and beginning to discovery therein resides God. Ever-so-slowly we are moving toward embracing God as a unifying source of empathy, compassion, and love. Love is the measure of the Divine. But how might we get there? Or at least get started heading in the right direction? For me, this is where Inspiration enters the picture. We are all “inside jobs” and God is to be found within our hearts. God is not the whirlwind bearing down upon Job, or the column of fire destroying our (tribal) enemies. God is made manifest through each of us, flowing into the world through how we choose to live our lives. This is what the great mystic spiritual traditions tell us. And each religion offers its internal, mystical connection with the Divine. They tell us we find God within our own hearts, and we are the vehicles through which God chooses to become manifest in the world. Why? I suspect it is because we are operating under an imperative to to become More. We are drawn to the Divine because we sense we may enter into common union with something which is greater than ourselves, and our small human existence. What draws us toward it, is what some call the Inspiration of the Divine. In Christian terminology this is the Holy Spirit. This may be thought of as the “energy” or Active Agent of the Divine in the world. But for whatever reason, it enters into the world through each of us. Our active participation is required. We each have been granted free will. In many small ways each day we are invited to choose between love and hate. In what way have these 5,000-words brought us any closer to answering the questions surrounding inerrancy and infallibility? Asking if sacred scripture is either inerrant or infallible is to miss the larger point. The text is literally neither. It is certainly not inerrant, because it contains errors. Nor are we able to determine that it is infallible, because we are unable to agree upon what this means. At best, sacred scripture offers us instruction and inspiration. At best, we are each “inside jobs.” We each must take a long, deep look into our own hearts, seeking Divine Inspiration, apprehending what we may, so that we might learn to express ever-greater portions of the Divine through how we choose to live our lives, and in how we choose to interact with others. God does not “invade” the world from the sky, like Zeus hurling lightning bolts. The Presence of the Shadow of God enters into the world subtly; through our ability to love those who hate us; by our loving others as if they were ourselves; by loving ourselves as if we were living expressions of the Divine acting in this world. “Why?” This is a Divine Mystery. The theory of apostolic succession says there is a physical connection from the present reaching all the way back to the time of Jesus Christ. This “line” of succession is passed along by the physical laying on of hands from bishop to bishop, connecting all the bishops throughout all the centuries from now all the way back to Christ’s original Apostles. Some people question whether there is anything behind the idea of being ordained into a line of apostolic succession. In fact, I was once among these persons! Having now been ordained into such a line (in the Old Catholic Church tradition) I can affirm and honestly attest, that yes, I think there is something to this! My rite of ordainment included an anointing of the hands and upper chakras as I was brought into the priesthood of Melchizedek. I could clearly and easily feel many of these spiritual energy centers becoming activated. This sensation of activity in my various energy centers would come and go throughout the rite (and days following). I felt the strongest energy/Presence in my palms and crown chakra. I was also very much aware of a sense of “Presence” which I attribute to the Holy Spirit/Shakinah. Clearly something was happening! For me the activity in my crown chakra was the strongest chakra activity I have to this day felt. I had always assumed when people spoke of the “crown” chakra they meant by this, the top of your head. But this was different. Very different – I felt like I was wearing a flaming crown! I could feel the energy all the way around the entire “hat line” of my head, as if I were in fact wearing a “crown” made of energy. And I was aware of it “flowing” upward, as I might imagine flames burning up and out of the top of my head, licking one and two feet above me – yet they were cool flames! Yes. Orbs too. 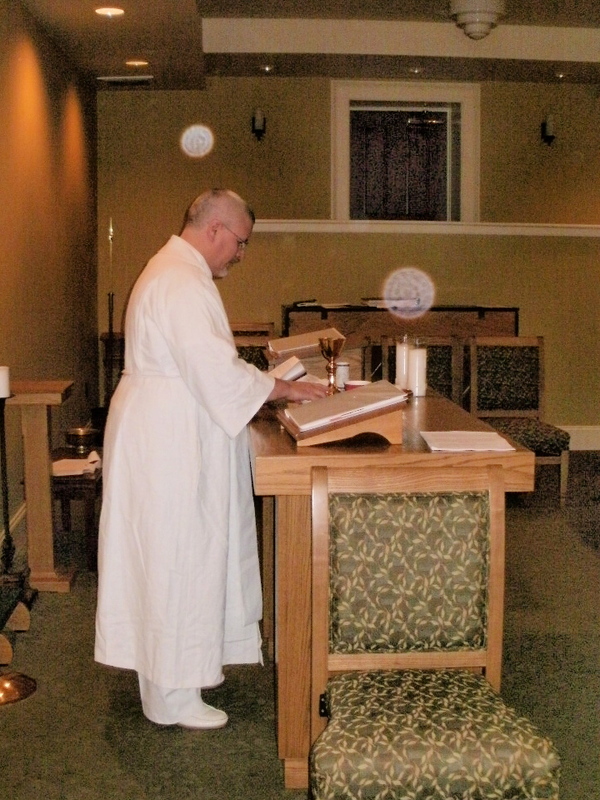 I wasn’t aware of this at the time, but the image accompanying this blog shows me performing my first priestly duty, creating holy water for the upcoming consecration of a new bishop. This image may not show this very well, and I am not a photo analysis expert, but the apparent “orbs” seem to have both depth and definition to my eye. That they appear over my head and over the altar at which I am working I find quite interesting. No proof of anything mind you, but for those of us who believe in such things this is another piece of evidence suggesting that something very real happened to me during my ordination. “One knows one” is a saying I once heard. And I can say that “I know.” I have no need or interests in “collecting ordinations.” I am a priest. I may become a poor priest or a good priest, that remains to be seen. Others are free to doubt – I do not. A priest in the line of Melchizedek, I am.